Unequivocally the most relevant and important European textbook of clinical nephrology. 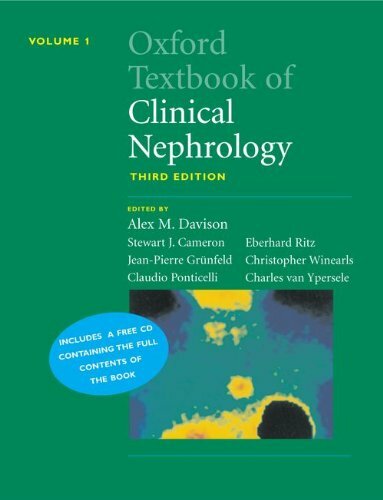 This is the most authoritative, well written and comprehensive textbook of clinical nephrology combining the clinical aspects of renal disease important for the daily clinical practice whilst giving extensive information about the underlying basic science and current evidence available. This new edition highlights the numerous changes in clinical management that have arisen as a result of recently concluded clinical trials and there are now specific formal guidelines for optimal treatment of patients. Each section of the textbook has been critically and comprehensively edited under the auspices of one of the leading experts in the field. The text for this third edition has been ruthlessly edited, balanced, updated and pitched at the adult nephrologist. The emphasis throughout is on marrying advances in scientific research with clinical management. Where possible treatment algorithms are included to aid patient care. By comparison with other texts, Oxford Textbook of Clinical Nephrology has more than average coverage of paediatric issues. For this edition there has been increased focus on age and renal disease, nephrology as practised in countries of different stages of socio-economic development, evidence-based nephrology, clinical outcomes, clinical audit and moral and ethical issues. Richly illustrated throughout in full colour this is truly a modern and attractive edition with comprehensive coverage of everything that has to do with clinical nephrology written by the world's experts in the respective fields. A major advantage is inclusion of a fully searchable CD-ROM packaged with this edition.